The Labour leader addressed the parliamentary party in a tense meeting of MPs and peers tonight amid fury over attempts by his hard left supporters to oust moderate Labour MPs. One MP said that there is “a culture of fear” which meant that none of them felt able to openly challenge him. But just minutes before the meeting in a Commons committee room, it was announced that Rosie Duffield, Labour’s first ever MP for Canterbury, was facing a “vote of censure” because she complained about anti-Semitism in the party. According to sources in the meeting Ms Duffield –who is known for not being a factionalist – gave a heartfelt detailed account of the way the vote in her constituency was engineering by leftwing extremists among the membership. 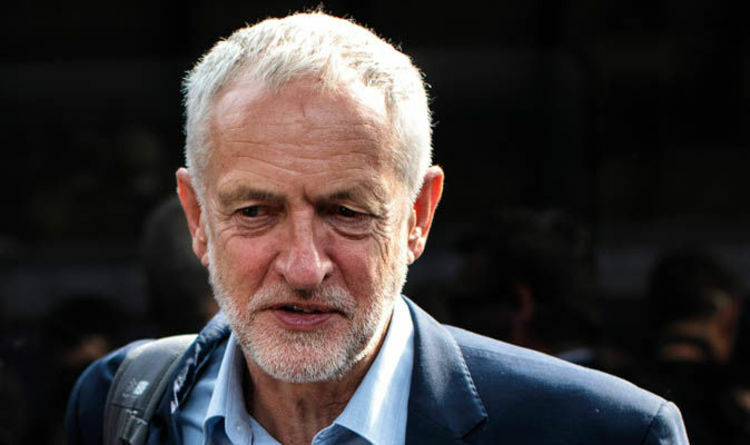 According to people in the meeting Mr Corbyn was told by Jewish MP Alex Sobel that Ms Duffield was being punished because she had agreed to go on radio to defend him after he had suffered anti-Semitic abuse by the Labour leader’s supporters. But Mr Corbyn insisted he would not intervene and reminded the MPs that they had tried to oust him with a vote of no confidence. Apart from that MPs said he talked about his holiday tour around Britain. “You’d think everything was going really well and we’d yhad an amazingly successful summer campaign not one completely dominated by anti-Semitism,” an MP said. He had faced calls to “call off the dogs” from leading moderate Chukka Umunna but they fell on deaf ears. Other leading moderates who have made a stance against anti-Semitism including Chris Leslie and Gavin Shuker along with Jewish MP Joan Ryan are also facing votes of confidence and deselection. Meanwhile, Mr Corbyn’s main union ally Len McCluskey also appeared to give the green light to hard left activists who want to deselect Labour moderates. Speaking at the TUC conference in Manchester, Mr McCluskey said: “Anyone who doesn’t want unity at this critical point, where we have an opportunity to get rid of this government that has brought so much misery on ordinary working people, has no part to play and so they should leave and do and do something else.